The plumbing specialists at Select Plumbing and Heating have performed countless boiler installations and repairs over the years. Whether it’s heating or domestic hot water boilers or steam boilers, the expert team at Select can perform your installation or repair effectively. 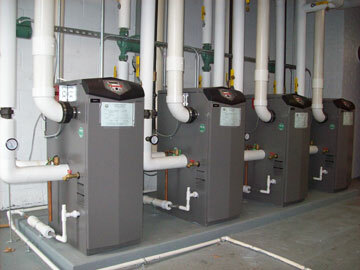 We supply and install a wide range of boilers for commercial buildings, industrial buildings, residential high-rise buildings, retirement residences, hospitals – and more – across the greater Toronto area. If you’re in need of a proven team of boiler specialists for an upcoming boiler installation or repair, we invite you to give us a call at 1 888 501 5501 or 905 501 5501 to discuss your project.